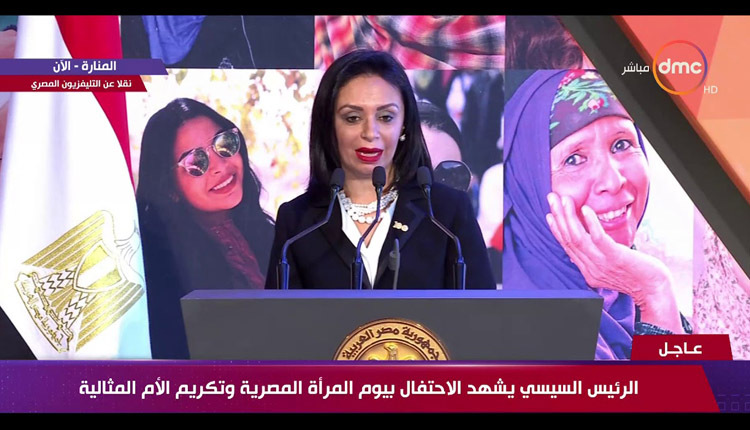 Chairperson of the National Council for Women (NCW), Maya Morsy, praised the “Women who Lead the Future” programme and Amwal Al Ghad during her speech at the Egyptian Women Day in the presence of president Abdel Fattah al-Sisi. Amwal al-Ghad Magazine outlined an ambitious successful programme dubbed as “Women who Lead the Future” which is organized in collaboration with the Banking Institute affiliated with the Central Bank of Egypt (CBE). “Women who Lead the Future” programme has succeeded in graduating and qualifying 50 women capable of taking leading positions in the future, after being mentored by number of prominent women and members of the top 50 forum in the economy. Morsy presented the accomplishments achieved in the realm of women’s empowerment in her speech at the Egyptian Women Day ceremony held on Saturday. Amwal Al Ghad has honoured the first batch graduated from the programme during its annual ceremony that was held last January under the patronage of the Prime Minister Moustafa Madbouli, in the presence of number of ministers, senior officials, and the members of the business community. There is a target in 2030 strategy to enhance women’s political participation and involvement in the decision-making processes on all scales by 35 percent, Morsy added. “We conducted a study on the representation of women in parliament in comparison to other countries. Although, it was improved by 15 percent, we still rank 135 globally,” Morsy stated. Egyptian Women Day ceremony was held on Saturday and attended by President Abdel Fatah al-Sisi and the First Lady Intissar El Sisi who honored a number of women and ideal mothers. The ceremony was organized by the Ministry of Social Solidarity, Ministry of Planning, and the National Council for Women. The ceremony was also attended by Prime Minister Mostafa Madbouli, Defense Minister Mohamed Zaki, Social Solidarity Minister Ghada Wali and Planning Minister Hala el Saaed along with other ministers and senior officials.